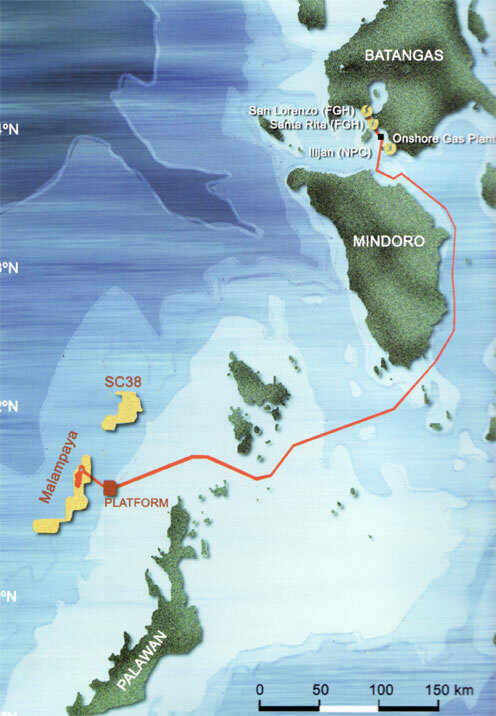 The Malampaya Deep Water Gas-to-Power Project employs state-of-the-art deep water technology to extract natural gas and condensate from the sea floor. Such technology includes sub-sea facilities, a shallow water production platform, an underwater pipeline, a catenary-anchored leg mooring buoy, and an onshore processing gas plant. 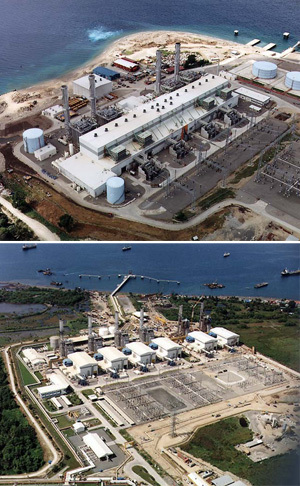 Three combined-cycle gas turbine plants–the 1,000-megawatt Sta. Rita power station, the 500-megawatt San Lorenzo power station, and the 1,200-megawatt Ilijan power station–are supplied with processed natural gas to generate a combined 2,700 megawatts of power for Luzon. Malampaya gas is utilized for the government’s pilot CNG program for public utility transport, which consists of a mother and daughter filling station located at the onshore gas plant and at a Shell station in Laguna. Dubbed the “fuel of the future”, natural gas is composed of gaseous hydrocarbons found deep underground, or extracted through driven wells. It is formed beneath the earth’s surface over millions of years by the decomposition of organic matter, in much the same way that oil and coal are formed. Natural gas is 85-90% methane, with varying amounts of ethane, propane, butane, and other hydrocarbon compounds. Some condensate and oil will always be associated with the gas. In its natural state, the gas is colorless, odorless, and lighter than air.